Fourteen women were killed at Montreal's École Polytechnique on Dec. 6, 1989. They died because they were women. It was on that day a gunman entered the post-secondary institution and in 20 minutes took 14 lives before killing himself. The gunman claimed he was "fighting feminism" and in a suicide note listed the names of 19 other women he had intended to kill. "It’s been 27 years since 14 women were murdered at École Polytechnique and, still, violence continues to be perpetrated against women because they are women," said Jennifer Root, an assistant professor in the Faculty of Social Work and women’s faculty colleague on Laurier's Brantford campus. "This is why we continue to do gender-based prevention work on campus." Laurier's Brantford campus will host a series of events on Dec. 6 designed to remember the tragic events of 27 years ago, but also focus on individual and community resilience, violence prevention and celebrating those who identify as women. The events are being planned as part of a collaborative effort between Laurier Brantford's Women’s Centre, Diversity and Equity Office, Women’s Faculty Colleague and Collective for Feminist Action and Research. In 1991, Canada's federal government declared Dec. 6 as the National Day of Remembrance and Action on Violence Against Women as a way to remember those killed at École Polytechnique and shed light on the serious issue of violence against women. "We want to both remember what happened on Dec. 6, but also focus on celebrating the resilience of women who are members of our university community," said Rebecca Godderis, associate professor and gendered violence faculty colleague on Laurier's Brantford campus. “Sustaining focus on the impacts and consequences of gendered forms of violence is an essential part of our anti-violence activities," Root said. "At the same time, we want to simultaneously highlight the tremendous strength and resilience of women survivors." Events planned for Dec. 6 on Laurier's Brantford campus include an information fair from 10 a.m. until 2 p.m. in the Research and Academic Centre lobby, where attendees can learn about organizations including the Sexual Assault Centre of Brant, the No More Project, Nova Vita Domestic Violence Prevention Services and the Laurier Students' Public Interest Research Group. The Laurier Brantford Women’s Centre will also hold activities as part of the day, sharing information related to self-care, as well as hosting art activities and visits with therapy dogs. The Collective for Feminist Action and Research will host a "Women We Love" wall, where participants can acknowledge the women they love by writing their names on the wall or posting photos. "The École Polytechnique massacre was at a post-secondary institution," Godderis said. "We feel it is particularly important to visibly recognize and celebrate women within post-secondary spaces with events like these." 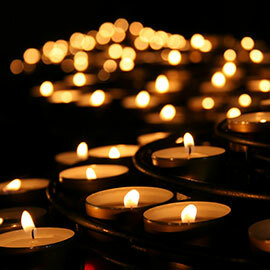 In Waterloo Region, the Canadian Federation of University Women Kitchener-Waterloo will hold a community vigil at Kitchener city hall to remember the victims of École Polytechnique. The vigil begins at 6 p.m.